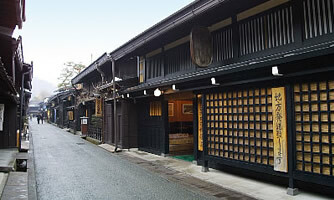 OHNOYA was founded 250 years ago in the city of Takayama. We are making soy sauce and miso. MISO is the traditional Japanese food. MISO is used as a Miso soup, and also as a seasoning to cook vegetables, meat and fish. 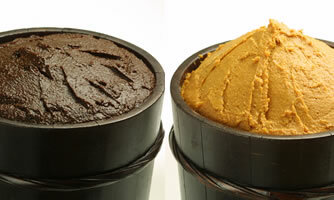 With the taste, also the compounds the aka miso and the kouji miso flavor is extraordinary. AKAMISO is made from three kinds of koji. (soybean,barley,rice) Koji is mold. We age this miso for 3 years and agitate regularly during aging. 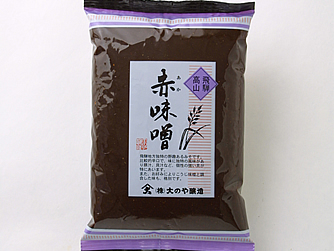 [Taste]: This miso has rich taste,and it is salty than Koji miso. [Use]: Miso soup,Miso pickled,Miso sauce,Tomato sauce,Demi-glace sauce, etc. [Ingredients]: Soybean, rice, barley, salt, alcohol. KOJIMISO is made from rice koji. Koji is mold. We age this miso for 1 year and put the stone on top of the miso. 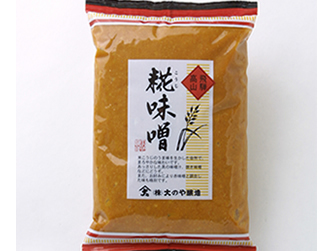 [Taste]: This miso has sweetness and a little acidity,it is not salty than Aka miso. [Use]: Miso soup,Hoba miso(baked miso),Miso mayonnaise, etc. [Ingredients]: Soybean, rice, salt, alcohol. Boil the water with dried sardines or bonito flakes or seaweed(Konbu). ② Add the ingredients such as the vegetable and the tofu etc. ③ Add miso,and please stirring. * With 1 ℓ of water: Add miso 50g~100g in standard. Please adjust the quantity of the miso in order to the taste become which you like. Soy souse used in japanese food and sushi, sashimi,japanese cooking...etc. Soy sause does not go bad, but please keep it in the fridge as much as possible to keep the taste. We are making the three types of soy sauce. 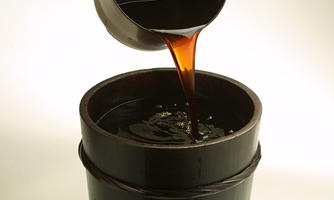 YONENSHOYU is made from Aka miso. We age Aka miso for 4 years and take out this soy sauce. [Ingredients]: Soybean, barley, rice, salt, alcohol. 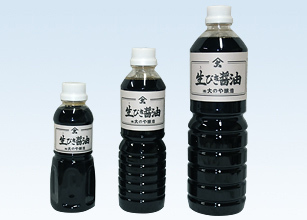 ICHINENSHOYU is made from Aka miso. We age Aka miso for 1 year and take out this soy sauce. 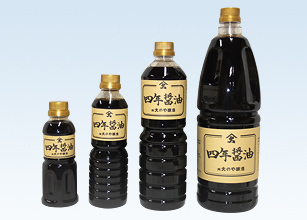 KIBIKISHOYU is made with a traditional recipe. 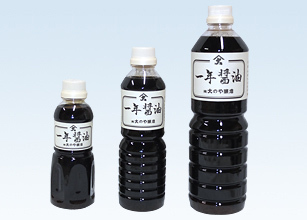 This soy sauce has good aroma,it goes well with meat and egg. [Ingredients]: Soybean, wheat, rice, salt, alcohol. Miso and soy sauce do not gone bad even at normal temperature. But, the color and taste change at normal temperature. Sorry. We do not send out miso abroad. We want to sell miso to different countries someday. Copyright© 株式会社大のや醸造 All Rights Reserved.